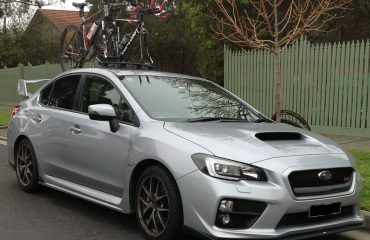 Tim Emery from Airport Toyota contacted us this week with a rather unique request. 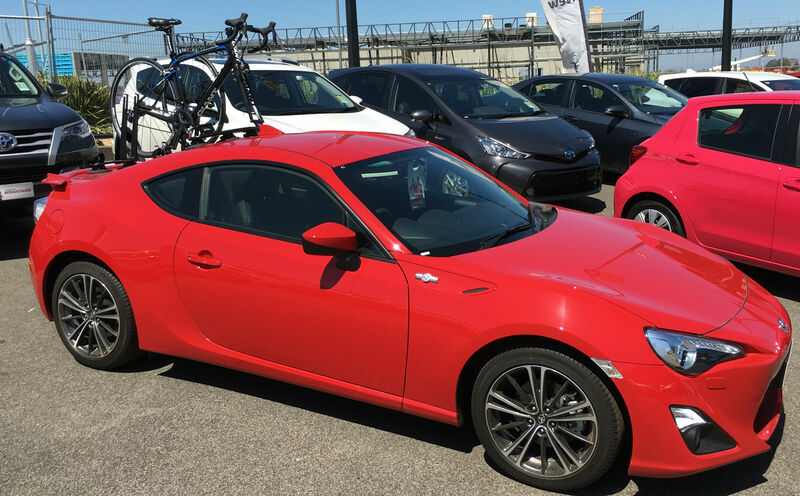 Tim Emery and Dealer Principal Pasquale Scaturchio were looking for a bike rack solution for a Toyota 86 that could carry at least two bikes and didn’t encroach on the limited boot space in the Toyota 86. This car would be used as part of their sponsorship arrangement with Team Avanti. After a brief discussion we agreed to meet with them on premises. With the official press release due next week Tim kindly briefed us on what they had planned. The Toyota 86 would be part of a fleet of vehicles provided by Airport Toyota for Team Avanti. With that in mind Tim provided a Toyota 86 we could use to identify an appropriate solution. 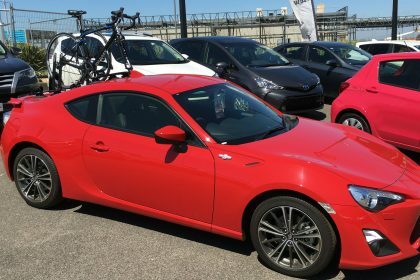 The first thing we noticed is the Toyota 86 has a stepped roof. After taking a few measurements we quickly realized a roof mounted solution was not an option as the roof line would inhibit the vacuum mounts on the SeaSucker Mini Bomber. Having encountered similar challenges in the past we measured up the back window as a potential mounting point for the SeaSucker Mini Bomber. This challenge was made more difficult as the Toyota 86 also has a boot lip spoiler. Using the top of the rear window as a reference point we installed the SeaSucker Mini Bomber then borrowed a race bike from the showroom and locked it into position. 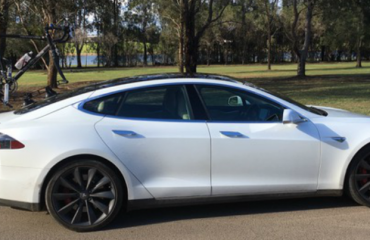 This allowed us to verify if the back wheel would line with the rear wheel strap sitting just in front of the boot lip spoiler. To our surprise the SeaSucker Mini bomber was more than up to the task. Next we installed a pair of SeaSucker Flight Decks to carry the front wheel alongside the back wheel. The design of the Flight Deck along with the shape of the boot lid meant that both Flight Decks were mounted pointing in the same direction. 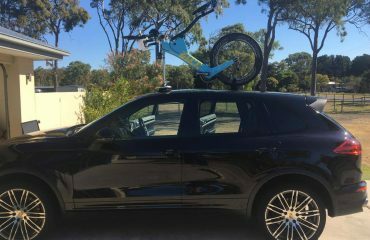 After testing both bike rack locations we verified this configuration would meet their requirements. Another tricky installation conquered, the attached photos will give you a glimpse of what Airport Toyota have planned in their upcoming press release. The car has since been sent of to have the obligatory sponsorship decals applied, can’t wait to see what the entire fleet of vehicles provided by Airport Toyota will look like.